Impact of new mortgage criteria and interest rate rises on Brits buying in eurozone. With the pound currently strong against the euro and bargain overseas property prices it’s little wonder that an increasing number of Brits are looking seriously at making that overseas property purchase. Taking advantage of this good buying climate is no problem if you have ready cash in the bank, but obtaining finance to make the overseas property dream a reality has become less easy for those buying abroad. UK mortgage providers now have to look more closely at the affordability of mortgages for borrowers following the Mortgage Market Review (MMR), which came into play at the end of April this year. The MMR changes the way in which finance will be approved (or not) as stringent affordability calculations have replaced the straightforward salary multipliers. “Stress testing” as also become a more prominent feature, which determines whether or not your budget could withstand increases in interest rates. Since the troubles of the past few years, overseas lenders have also become more strict about who they lend to and each mortgage application will be assessed on its merits and with regard to the affordability of the mortgage for the borrower. The result of these changes is a reduction and slowing of mortgage approvals. Applying for an international mortgage has become more time consuming and complicated as the amount of information you will be asked to provide has increased considerably. Despite this, the changes are a responsible step to help ensure that buyers do not bite off more than they can chew. The changes only present an issue to those buyers who are at the edge of what they can realistically afford and would struggle to make repayments should interest rates start to rise. The solution for them would then be to trade down so that they could withstand any adverse financial change. The good news however is that in June, as the UK Bank of England Governor Mark Carney hinted that the UK Base Rate could rise this year, the European Central Bank cut its main interest rate from 0.25% to a record low of 0.15%. The reduced interest rate is likely to lead to a reduction in borrowing costs across the Eurozone. The Governor’s positivity about the UK market has resulted in sterling steadily appreciating against the euro to an 22 month high this week which means more good news for UK buyers. This rise effectively gives British buyers a 10% price cut on all euro denominated property when compared with this time last year. It is therefore still very possible to obtain finance abroad, especially if you have a good deposit and can demonstrate that your finances are healthy. 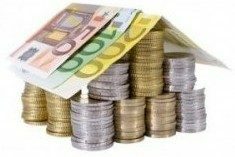 Following the latest drop in lending rates in Europe, mortgages are now widely available at interest rates which are under 3%. If you do intend to finance your overseas property purchase with a mortgage, it is advisable get the process started sooner rather than later, even before you start looking for a property. The application process for an overseas mortgage can take anywhere from six weeks to several months and you should thoroughly research the mortgage market beforehand so you can find the best possible deals and establish whether a foreign currency or sterling mortgage will be most suitable for you. Being prepared from the outside makes sense as it takes time to get all the necessary mortgage documents together, and there are likely to be strict deadlines attached to the mortgage. You will also need to budget for buying costs, such as mortgage and lawyers’ fees, taxes and insurance. This is generally estimated as a percentage of the purchase price, (for example around 10% for France, 12% for Spain and 15% for Italy). Make sure your current account is in order. It should show at least three months in credit as lenders do not like to see evidence of expenditure outstripping income in overdrawn accounts. Obtain a mortgage approval in principle.This will confirm you are able to obtain the necessary funds and will prove to sellers that you’re a serious buyer. Consider exchange rate fluctuations. Small changes in exchange rates can make a big difference to the purchase price of your overseas property, your mortgage payments or future rental income. UK mortgages vs mortgages from abroad. Consider the pros and cons of different ways of financing your property purchase and shop around for the best deal. Local accounts. In many countries, in order to receive your overseas mortgage, you’ll need to open a local bank account. Set up standing orders in your local bank account to meet local bills and taxes. If you are thinking of purchasing a property overseas make sure that you obtain good, independent legal advice to protect your interests and ensure the process is as smooth as possible. Contact Worldwide Lawyers who can put you in touch with an independent property lawyer to help you.